Well, a few mornings now I've caught myself driving through the McDonalds drive thru to get an Iced Mocha. For one, it's on the way to my office from the baby sitter's house and two, it's cheaper than Starbucks. Although McDonalds Iced Mocha is a lot cheaper, it doesn't really make up for the taste you get from Starbucks, which just so happens to be my FAVORITE coffee spot. I know that Starbucks isn't doing the business it used to since the economy took a down turn, and I can't help but feel like I'm betraying my beloved Starbucks by stopping at McDonalds for my morning coffee. 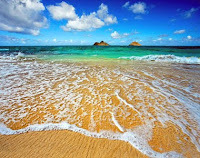 What is your opinion? 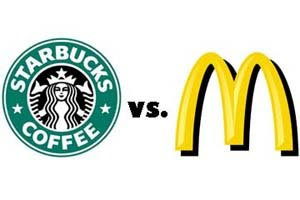 Do you prefer Starbucks over McDonalds or does the price of McDonalds make up for it? There can never be a comparison...ever.